Home » Broadband » It Seems OK Are Looking To Get Into eCommerce ; Is An Online Store On The Way? It Seems OK Are Looking To Get Into eCommerce ; Is An Online Store On The Way? We stumbled upon an interesting ad that has led us to believe popular retail chain OK ZImbabwe could be planning to launch an E-commerce platform. They listed an ad looking for a Digital Media and E-Commerce marketing Officer. To us, looking for an E-commerce marketing officer only makes sense if you’re actually trying to establish an E-Commerce platform. We reached out to OK for a comment on whether they will actually be entering the E-Commerce field anytime soon but they were not available. If they do respond however we will update readers as to what their position is. 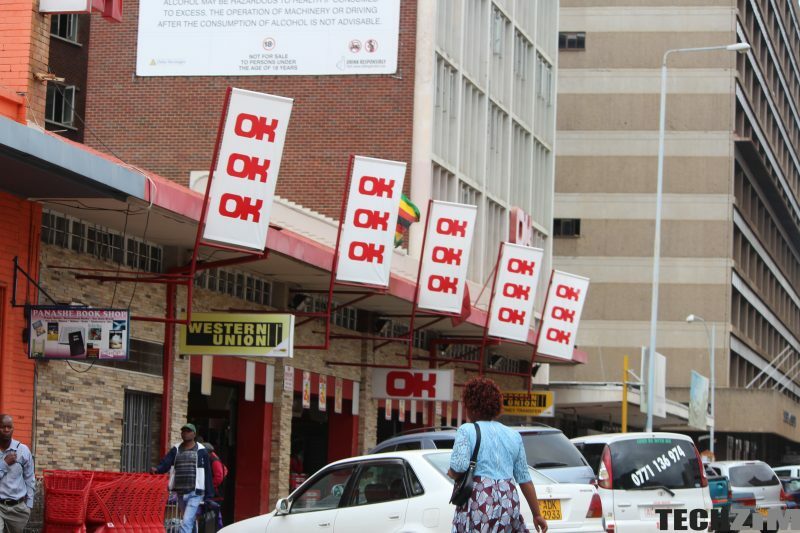 Could OK Mart become the Zim version of Game? It will be interesting to see if OK’s E-Commerce platform will be similar to South African mega-stores Game. Nowadays people living in South Africa can actually buy products from the store but back in the day there was no option to buy. Basically, the platform was only a price-listing platform that enabled customers to see prices for various products before going to but said products physically in-store. Of course, the factors that will ascertain which type of platform OK will be is influenced by many other factors including how and if they can actually implement a delivery system among other logistics. Competition in the e-commerce arena? Right now if OK is to move into the world of e-commerce their main competition will be the somewhat underwhelming Hammer and Tongues online platform. At the time Hammer and Tongues launched their online retail store we were very much excited but they are yet to get the traction one would expect by now. Maybe OK will have a more pleasant time in this arena due to the fact that they are a more recognisable brand in terms of retail (or conventional ‘shops’) whereas Hammer and Tongues are primarily associated with auctions but it does seem the general eagerness to shop online is still quite low. Last year, we wrote an article trying to better understand what would convince more people to adopt e-commerce. Back in 2016, another E-commerce startup ZIMALL kicked the bucket as well after failing to gain traction. The issue of trust also comes down to online buyers being afraid to give their money to a company or individual they will then fail to hold accountable. For OK, I also don’t think this will be able a major problem because they have an established brand thus buyers will not feel like they are experimenting. What are your thoughts on the state of E-commerce in Zimbabwe? What will act as the catalyst to set this industry ablaze? Would love to hear your thoughts in the comments below. [VIDEO] That Huawei P20 Finally Worth Your Kidney? OK Zimbabwe has been involved in a light version of e-commerce through partnership with a once popular website sadza.com. Sadza.com listed OK Zimbabwe products which the diaspora bought for families back home to collect at OK stores. This was years ago before anyone featured into grocery remittances. When I approached them wanting to do an improved version of it with OK Mart Harare, when sadza.com became apparently weak, they pointed to sadza.com already occupying the space and also indicated future plans tolaunch own inhouse e-commerce platform. Its been years. I suspect whatever they are trying to do is for diaspora. In a recent annual financial report they showed interest in strengthening diaspora remmitances. We will see how they do it. Overall, they are not as organised nor cutting edge as you may see and think from outside. Perhaps the new hire will give them that if not pulled down by their old school culture. I believe one of the reasons why our state of e-commerce is where it is because of lack of NEED.people are comfortable with the status-quo in as far as brick and mortar stores are concerned. For instance Zipit (a product of Zimswitch) has been there since 2014 but noone cared about it till cash shortages and it suddenly became a hit- simply because we now have a need. People also started buying cars on Be-Foward and other sites out of need, and most of the people were even skeptical, they would pay some people to buy on their behalf. I think the problem of payment options has been sorted, if you check and shop on http://www.hammerandtoungues.com, http://www.foodworld.co.zw, http://www.gain.co.zw, one can pay using the most popular and accessible platfroms in Zimbabwe i.e Zimswitch, Ecocash and Telecash. The other challenge has to be the Cost of Delivery. Customers will compare, where they are charged $20, one would then say, why can’t l just put $3 in my car, drive to the shop and come back, or better still board a kombi at a far much less cost. Some customers are simply not yet there in as far as technological literacy is concerned, hence the resistance, hence the phobia to buy online. so maybe till the “New curriculum” sinks into the people, we will be stuck in the past. I also feel there is a very strong relationship between online shopping and income. We are simply not shopping online because we don’t have the money and we can’t risk the little we have. This is also the reason why the informal market is flourishing and we now experience fake rice packaged in Mahatma packaging. so online shopping can take shape if prices can be lowered compared to offline. My last submission is on legislation, there is need for a clear policy on Privacy, Returns, Refunds and also other cyber crimes (for example recent reports on Card cloning). in SA, they have the ECTA, Consumer Protection Act, etc.